UKDN Waterflow > Advice > What is a Soil Vent Pipe? 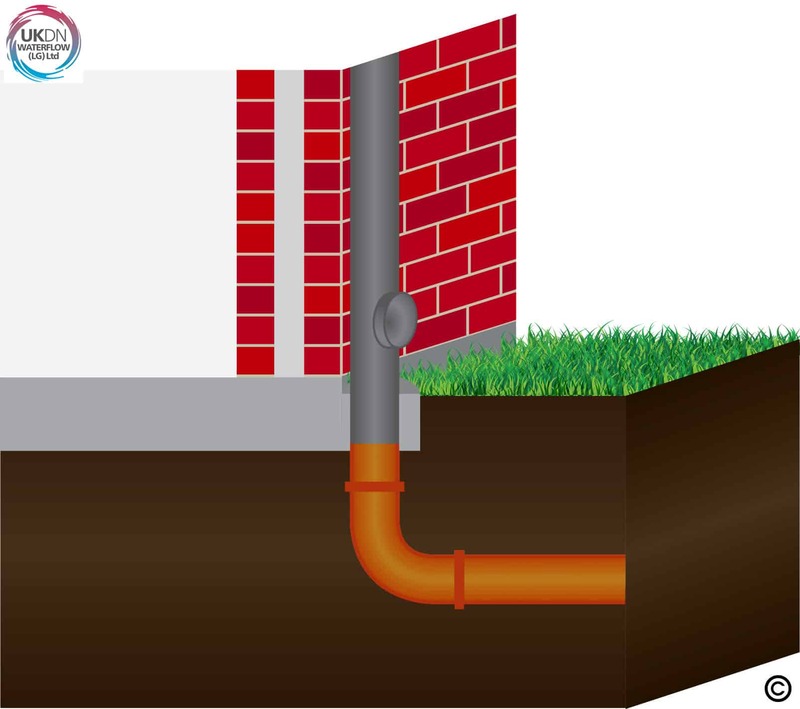 A soil vent pipe commonly runs vertically from the underground drainage system to the top of a property, just above roof gutter level. It is also known as a soil stack pipe, a drain waste vent or a ventilated discharge pipe. Soil vent pipes can be installed inside structures. With modern housing low-rise housing they are more often attached to the outside wall. In older properties, soil vent pipes were often made from cast iron, and some even contained asbestos, which now requires very careful handling during their maintenance. Most modern soil vent pipes are made from plastic. How does a soil vent pipe work? A soil vent pipe is installed to take waste water from upper floor toilets, baths and sinks into the underground drainage system. The pipe is vented to allow odours from the waste water and solids to be released into the atmosphere. The vent also ensures the drainage system remains at atmospheric pressure. This is important, because when a toilet is flushed or a sink is emptied, if the soil pipe is not vented, a partial vacuum would build up behind the waste water as it travels down the pipe. This would result in water in the u-bends of toilets and sinks being forced out, allowing odours and gases from the foul drain to travel up the pipe and enter the building. Where is the vent in a soil pipe placed? The position of a vent in a soil pipe is controlled by building regulations. It is always placed above the highest waste water inlet into the pipe. A vent is usually located above the roof, so odours and gases can escape harmlessly without causing a nuisance to the property occupiers or neighbours. Building regulations state that the opening of ventilating pipes should be located at least 900mm above any window in a building that is within three metres of the pipe. Also, the vent should be protected with a wire cage or a perforated cover to prevent debris or birds entering them. An alternative to fitting a vent in a soil pipe is to fit an air admittance valve. This will open automatically when water enters the soil pipe, and close when the water has passed into the main drain. 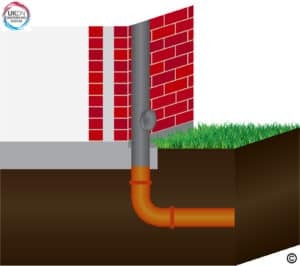 For internal soil vent pipes, a benefit of this system is that it helps prevent heat being lost from the property via a continuously open vent. It also reduces the risk of a build-up of condensation on surfaces around an internal vent stack. This can happen as warmer internal air cools on contact with a stack which contains air drawn in from outside. Where an air admittance valve is used, a vent must be installed elsewhere in the property’s drainage system. This vent can be located some distance from the property. One of the most common maintenance problems with soil vent pipes is the occurrence of blockages. The risk of blocked soil vent pipes has risen in recent years with the introduction of wet wipes which many people often wrongly dispose of down toilets. Wipes, even ones designated by manufacturers as being flushable, can snag on soil vent pipes and become stuck inside them. More wipes and solid waste material can then build up behind them until the pipe is partially or even completely blocked. The risks of blockages occurring in this way can be increased if the soil vent pipe is defective. For example, the pipe may be cracked, in which case there is also a risk of waste water leaking. There may be a badly-fitted or displaced joint where a lateral waste pipe joins the soil pipe or where it has to bend. In both cases, the smooth and fast flow of waste water may be interrupted, allowing solid waste to build up. Cast iron soil vent pipes can be more prone to blockages. This is because they rust, making internal pipe walls rough and more likely to snag material such as wipes, sanitary products and toilet paper. How can I tell the soil vent pipe is blocked? A common tell-tale sign of a blocked soil vent pipe is sluggish flow of water out of sinks and baths. Another is the build-up of water in a toilet bowl before it eventually flushed away. Blocked soil vent pipes may also cause bad odours, both inside and outside the property, and when water is flowing through sinks and toilets, when u-bend seals are momentarily broken. Modern soil vent pipes also have inspection points, where a cover can be removed from the pipe to allow the inside of the pipe to be viewed. This may help to identify blockage problems. 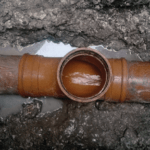 The best advice for property owners if they have blocked or defective soil vent pipes or want to ensure the pipes are maintained properly is to obtain professional advice from a drainage specialist. First and foremost, this is because, without professional equipment, inspecting, maintaining or unblocking a soil vent pipe may involve working at height, which is potentially hazardous. Drainage specialists have equipment that allows them to remotely inspect, unblock and rehabilitate soil vent pipes. This includes mini CCTV drainage survey video cameras that are guided into soil vent pipes to view and assess their condition. They also have specialist cleaning and unblocking equipment. This includes water jetting hoses and electro-mechanical cleaning equipment. Both pipe cleaning systems can reach many metres into soil vent pipes to quickly clear blockages and scour clean pipes to minimise the risk of blockages reoccurring. Soil vent pipes that have displaced joints, are badly corroded, or are leaking, can also be lined with resin-impregnated glass reinforced plastic (GRP or fibreglass). This creates a smooth, strong, waterproof pipe-within-a-pipe, extending the life of the soil vent pipe by decades and greatly reducing the risk of future problems. Lining soil vent pipes is a particular important option where the pipes are built into buildings so would be very difficult, disruptive, and costly to repair or replace by any other means. If you have problems with your soil vent pipes, or need professional support to maintain them, call UKDN Waterflow (LG) today on 0333 344 2937. We have the expertise, experience and equipment to help.